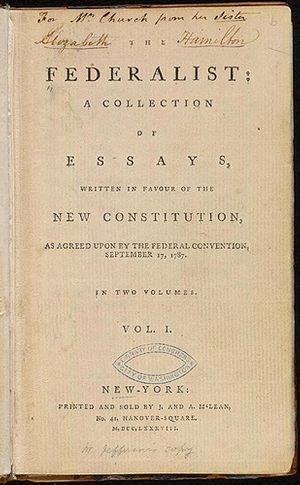 The debate in New York produced perhaps the most famous exploration of American political philosophy, now called THE FEDERALIST PAPERS. 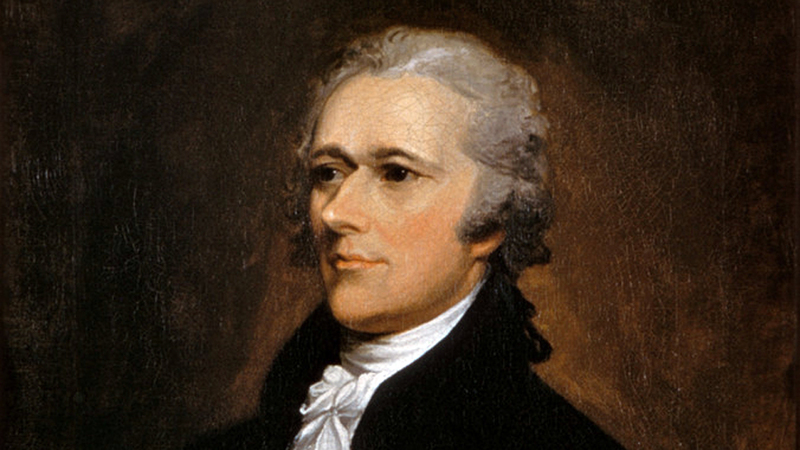 Originally, they were a series of 85 anonymous letters to newspapers, which were co-written by Alexander Hamilton, James Madison, andJOHN JAY. Together they tried to assure the public of the two key points of the Federalist agenda. First, they explained that a strong government was needed for a variety of reasons, but especially if the United States was to be able to act effectively in foreign affairs. Second, it tried to convince readers that because of the "separation" of powers in the central government, there was little chance of the national government evolving into a tyrannical power. Instead of growing ever stronger, the separate branches would provide a "CHECK AND BALANCE" against each other so that none could rise to complete dominance.